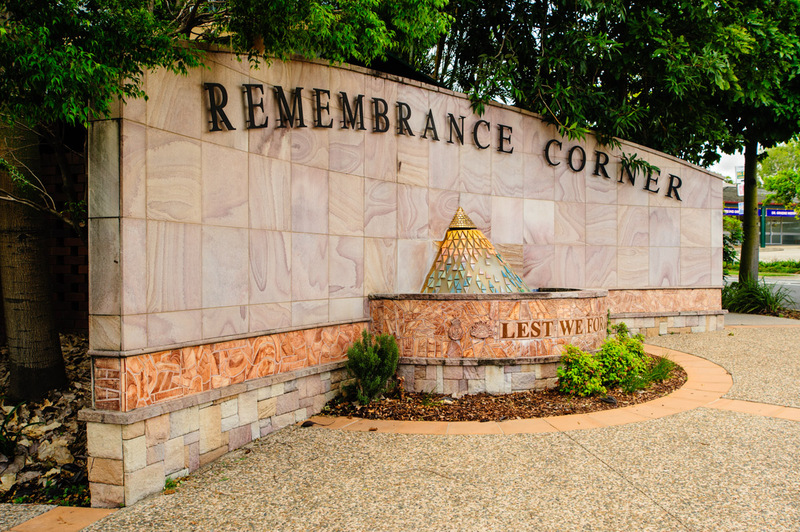 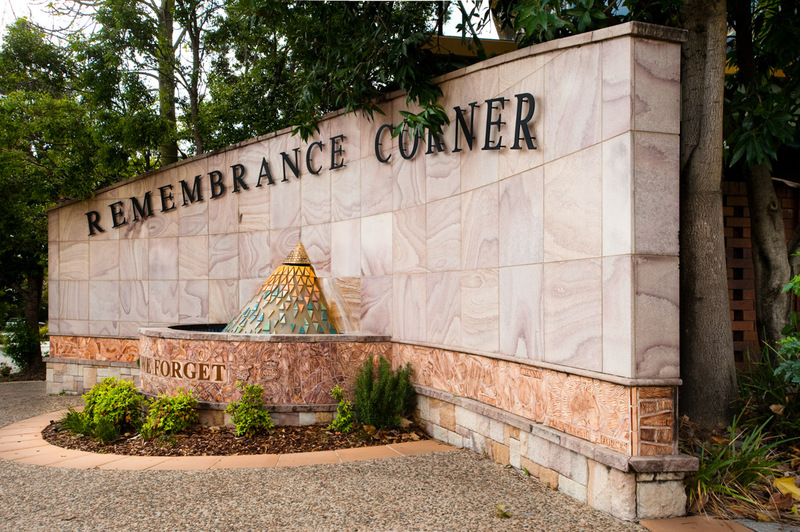 A part of the SCIP, Geebung Remembrance Corner was built as the focus for Anzac Day and Remembrance Day. 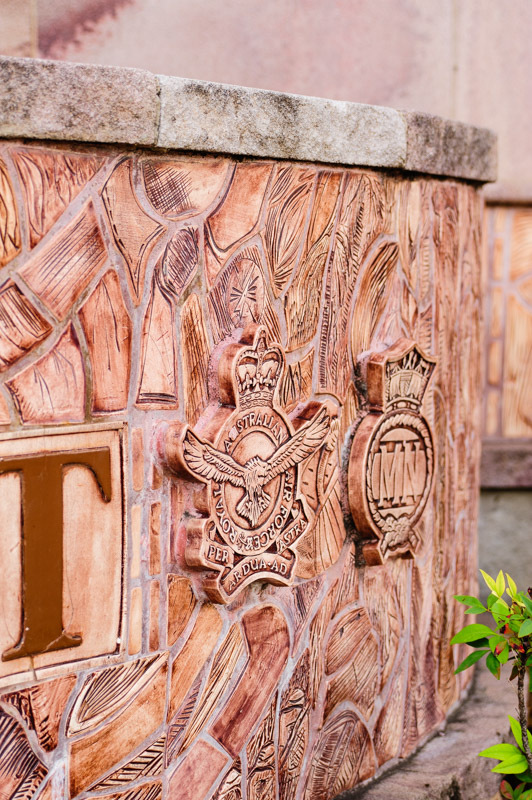 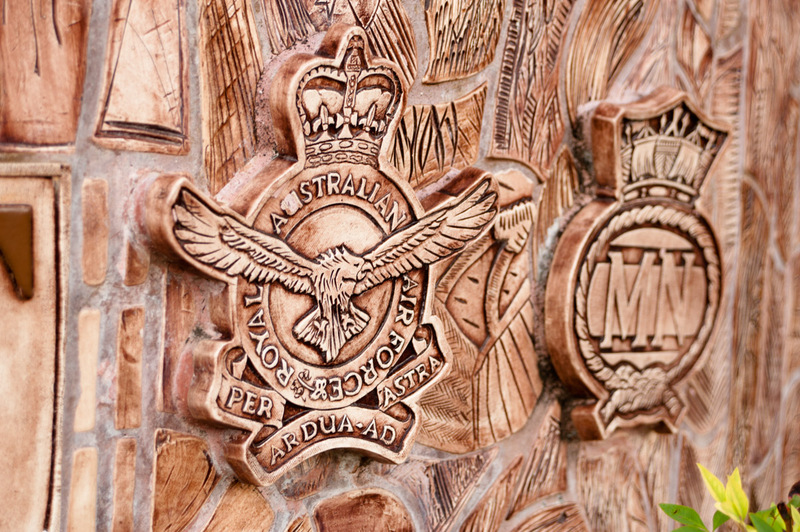 The carved frieze on the wall represents the personal items of service personnel for each major campaign, the wall around the fountain features the badges of services and LEST WE FORGET while the background represents different landscapes where battles happened. 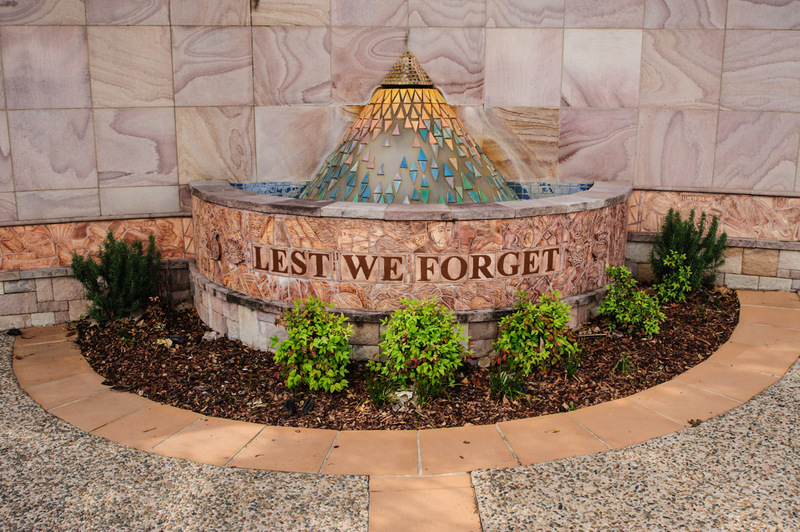 The conical fountain represents the dawn with triangular colored porcelain tiles which deflect the water capped by a gold glass cone which represents the Eternal Flame. 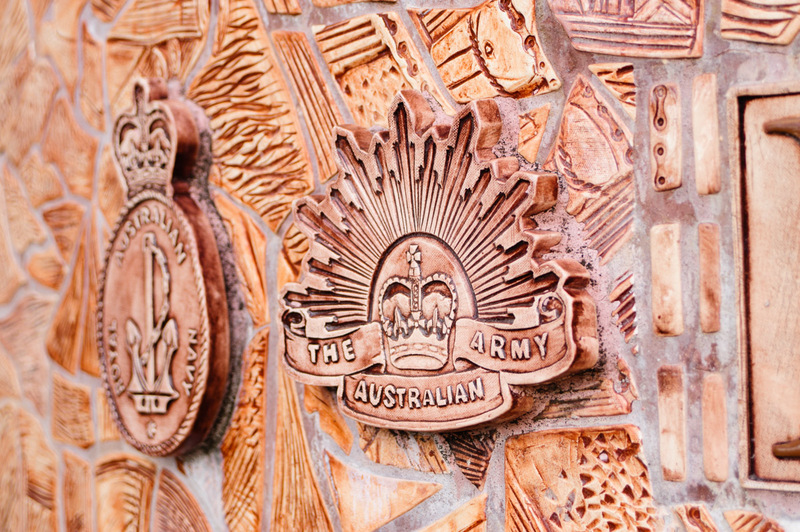 This piece is removable and houses the flame for various occasions.